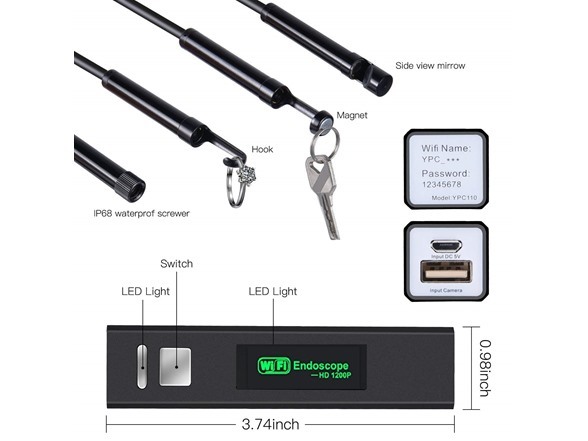 The new Professional HD Wi-Fi Endoscope features a higher 1200p resolution, improved IP68 waterproof rating, 8 way adjustable LED and 4 accessory attachments. 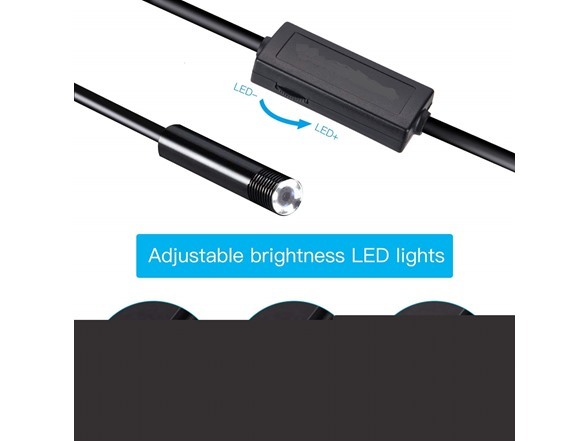 It features a 3.5 meter semi rigid cable with 8 level adjustable LED lighting, for professional and recreational applications. 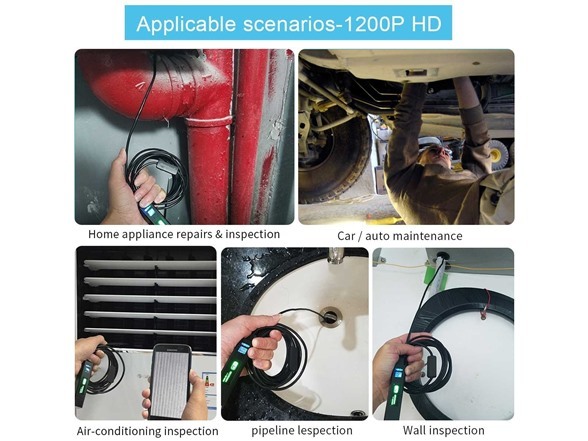 With a built-in Wi-Fi signal, this borescope can be quickly connected with your smartphone via Wi-Fi. 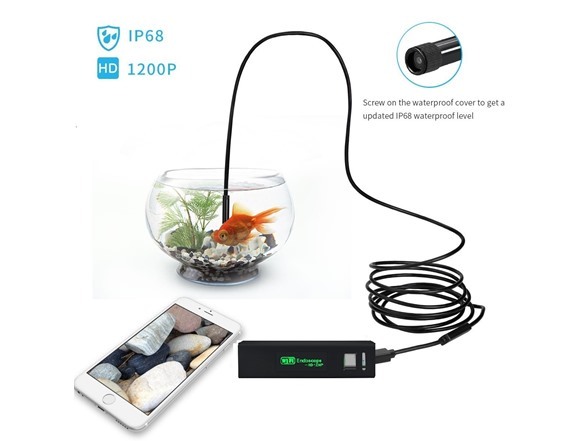 Compatible with all Wi-Fi enabled smart devices. Easy to set up and use after installing the newly designed companion APP, "HD SEE." 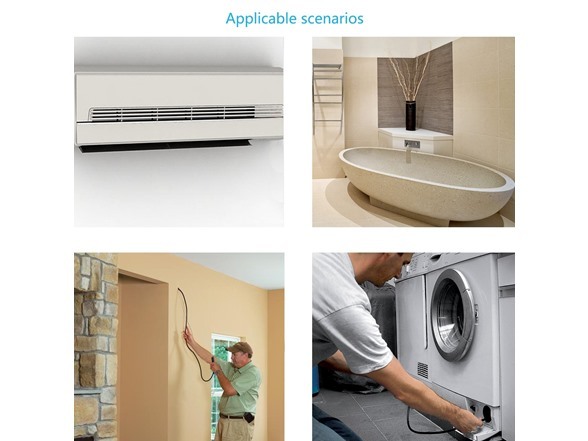 Improved Semi-Rigid Cable for improved applications. 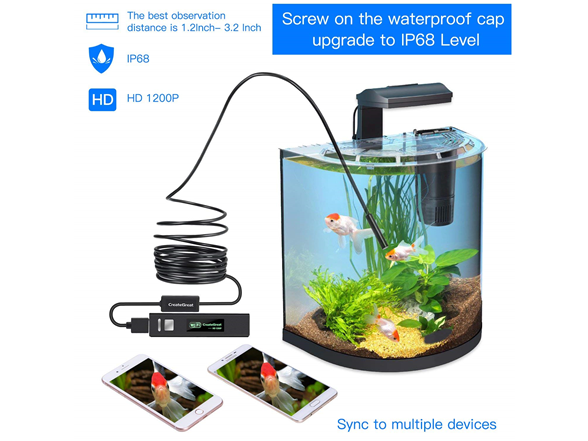 Featuring super Hi-Vision 2MP HD camera allows you to capture image or record video at a close range and transmit live video to your device. Photos and videos can be stored directly into you device so you can share it with your friends. Semi-rigid cable which can bend and hold it's shape to access a wide variety of confined place to meet with different using needs. Built-in lithium battery with working time up to 1 hour, and can be easily recharged by Android Phone or PC/Power Bank within DC 5V,1A. 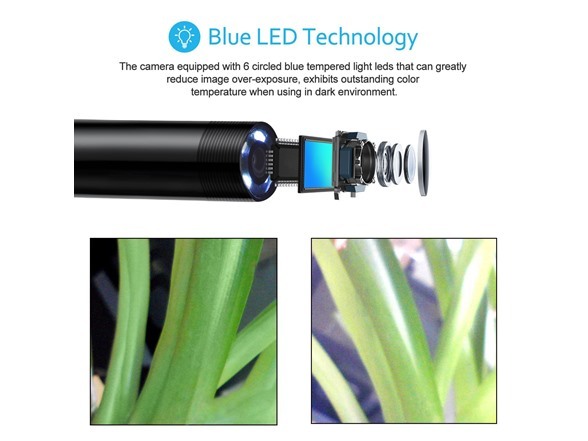 With a focal distance of 3mm-8mm, it's the perfect tool for close-up inspections such as looking in pipes, close inspection of engine parts, jewelry inspection, and more. **Windows PC Users** - Software link in the manual is no longer active.You'll need to run the oasis.exe file located HERE to launch the software. This will not install anything on your computer. *NOTE* Do not use the wi-fi box. 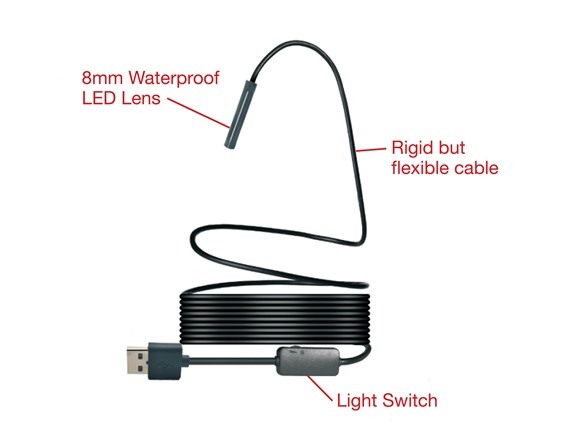 Use the micro USB to USB adapter.